An intriguing Wexford Senior Football final between Kilanerin-Ballyfad and the Shelmaliers takes place today at 3.15pm (Sunday). The curtain raiser will feature Cloughbawn and Naomh Eanna in the Wexford Intermediate ‘A’ final, starting at 1.15pm. With thanks to a YouTube stream by Nobou Uematsu, you can watch both games live below, with live commentary from Gorey’s Michael Dwyer and South East Radio’s Liam Spratt respectively. 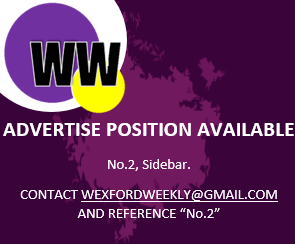 Wexford videographer Finbarr Flanagan will also be streaming the Wexford Senior Football final through Shelmalier’s GAA Club’s Facebook page.